New, old stock. 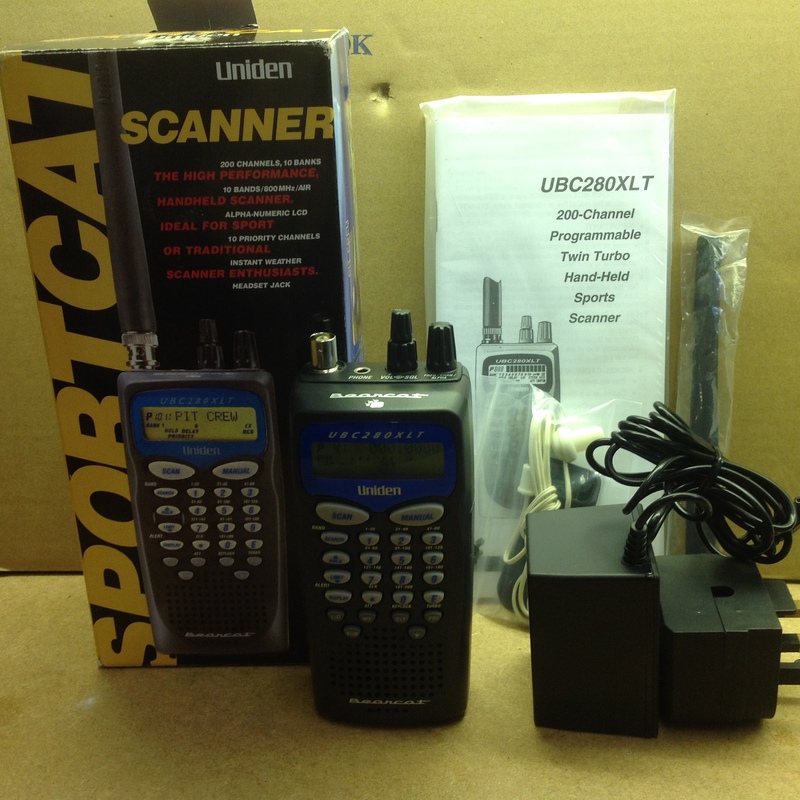 Uniden Sportcat UBC280XLT Handheld Scanner. 200 channels, 10 bands. VHF and UHF. Comes complete with box, AC adapter, manual, charger, beltclip, rubber antenna and earpiece. A lovely scanner from Uniden.